The Aitenov Brothers Youth Tournament was held in the city of Kostanay in Kazakhstan which was the last big international competition for the age group before the start of the Budapest 2018 AIBA Youth World Boxing Championships. Among the winners Children of Asia Games winner Nursultan Nuridenov and Sultan Musinov were the biggest names in Kostanay. Kostanay is located in the Northern part of Kazakhstan and has been hosting the Aitenov Brothers Youth Tournament in the recent 19 years. The Budapest 2018 AIBA Youth World Boxing Championships is on the focus now and Turkmenistan used the event as last preparation before its start. 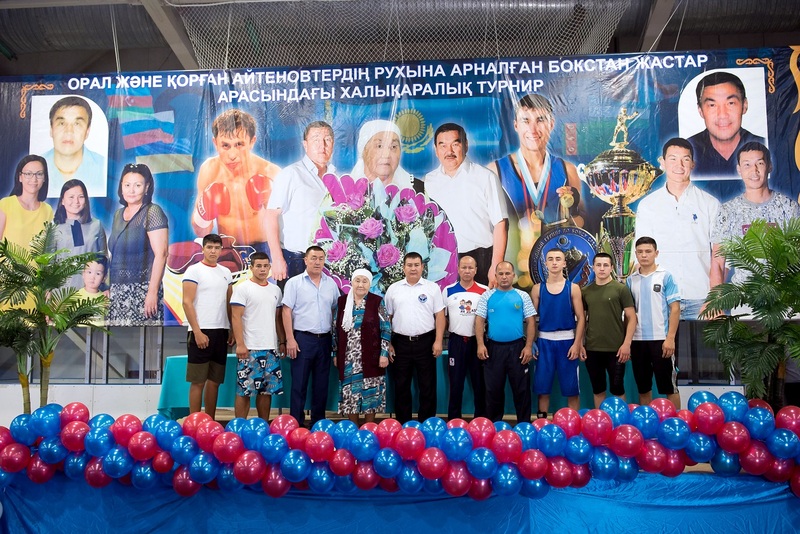 Altogether 107 boxers are attended in 10 weight classes at the Aitenov Brothers Youth Tournament in Kostanay. Bekzat Sattarkhanov Youth Memorial Tournament bronze medallist Sanzhar Kurenbayev was born in 2001 and trains in the Pavlodar region which means he will be able to attend in the youth age group also in 2019. The young light flyweight (49kg) boxer became the first winner in Kostanay following his triumph over Turarbek Kaliyev in the final of the Aitenov Brothers Youth Tournament. Kazakhstan’s future weapon in the sport Children of Asia Games winner and Junior National Champion Nursultan Nuridenov was successful in the junior and youth level, he achieved already plenty of medals and titles. The young talent, who will be celebrating his 18th birthday later this year, had to do his very best to beat Kazakhstan’s Daniil Pimenov in the final of the flyweight (52kg). Astana’s Bekzat Sattarkhanov Youth Memorial Tournament bronze medallist Nursultan Isakhan eliminated his main rival Turkmenistan’s Atajan Hudayberdiyev in the quarter-finals of the bantamweight (56kg) and following that he marched to the title of the event after beating Kazakhstan’s Nurbolat Saparbay. 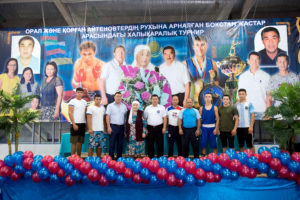 Akmola region’s Sultan Musinov attended already out of Kazakhstan in Russian youth events and his international experiences paid off when he faced with Karagandy region’s Azat Zhambyrbay in the final of the lightweight (60kg). The final verdict was unanimous decision to Musinov who has got strong family connections to boxing. Shymkent’s Arman Saylau had enough experiences to beat Murat Turmanbetov in the final of the light welterweight (64kg) while Turkmenistan’s strong Shukur Ovezov and Kazakhstan’s Bekzat Sattarkhanov Youth Memorial Tournament winner Pavel Demenskiy claimed only bronze medals in Kostanay. Mangystau region’s Akzhol Abdikhan won the title of the welterweight (69kg) after beating Atyrau region’s Ablaikhan Bitimov in a narrow final. Dzhozef Okaro claimed gold medal in the 2017 Kazakhstan Junior National Championships and his strength was enough to beat Kyrgyzstan’s Omurbek Bekzhigit Uulu in the final of the middleweight (75kg). Aktobe region’s Kuanysh Keulimzhayev shocked Astana’s Children of Asia Games silver medallist Ayat Marzhikpayev in the final of the light heavyweight (81kg) which was the biggest sensation of the Aitenov Brothers Youth Tournament. Russia’s Timur Mukhamedzyanov was bronze medallist in the last 2017 edition of the Aitenov Brothers Youth Tournament which he changed into gold following his quick RSCI success over Kazakhstan’s Alikhan Batyrgaliyev. Kostanay region’s lone gold medal was achieved by Oyaz Maulenov who took silver in the last 2017 edition. The 18-year-old super heavyweight (+91kg) boxer was too strong for Uzbekistan’s Sherali Kushbayev in the final while Turkmenistan’s Elfad Tadzhibayev and Kazakhstan’s Youth National Championships bronze medallist Shymkent-based Azat Irismetov reached still the podiums following their losses in the semi-finals.